These are the Austin Opportunity Youth Collaborative’s ongoing areas of focus. 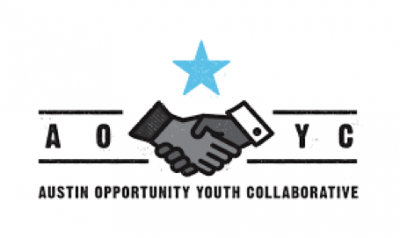 AOYC is expanding our work in the post-secondary access, persistence and success space, and collaborating closely with our workforce board to amplify a focus on opportunity youth for employment initiatives stemming from a recently-released community Master Plan that provides employment training opportunities. We are also digging deep into available data to take a closer look at the population-level needs of youth in Austin. Areas of Collaborative Focus: Postsecondary education; Workforce; Social Service Coordination.